Random writings of my random thoughts. If you know me very well, you know I am a HUGE fan of Tammi Sauer's work. Her new book PRINCESS IN TRAINING is soooooo much fun! The illustrations are fantastic too. Princess Viola is an awesome skateboarder, but not the "perfect" princess that the king and queen would like her to be. So what would any good parent do? They send her away to Princess Camp where she should learn how to behave like a proper princess. But....it's not as easy as it sounds. Viola tries hard, but has quite a few mishaps until a dragon comes along and her unprincess like skills cause her to save the day. I met Tammi several years ago in one of her workshops. 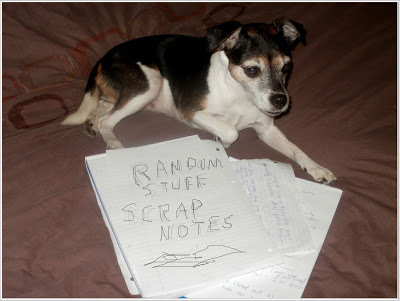 She is an amazing writer and I hope you'll hop to the link and see all that I learned from her. I am always trying to pick her brain (because it is amazing) so I sent her a few questions and she agreed to answer them for us. I have always been a writer. As a kid, I was very big on getting mail, so I joined a penpal club. But those weren’t the only letters I wrote. I spent hours sending fanmail to various celebrities, including Loni Anderson and Barbara Mandrell. Somewhere I have a collection of retro 8 by 10 glossies to prove it. It wasn’t until 1997, however, that I began toying with the idea of writing picture books. I would write one day. Stop for 36 days. Write again for a week. Stop for four months. I didn't make a commitment to writing until the spring of 2003 when an illustrator visited my daughter's preschool. Seeing someone who was actually in the business inspired me to get serious about writing. That day I decided to devote my kids' nap time to writing. Even if my mom called. Even if Oprah was on. One year later, I got the offer for my first book—Cowboy Camp. Do you have an agent? 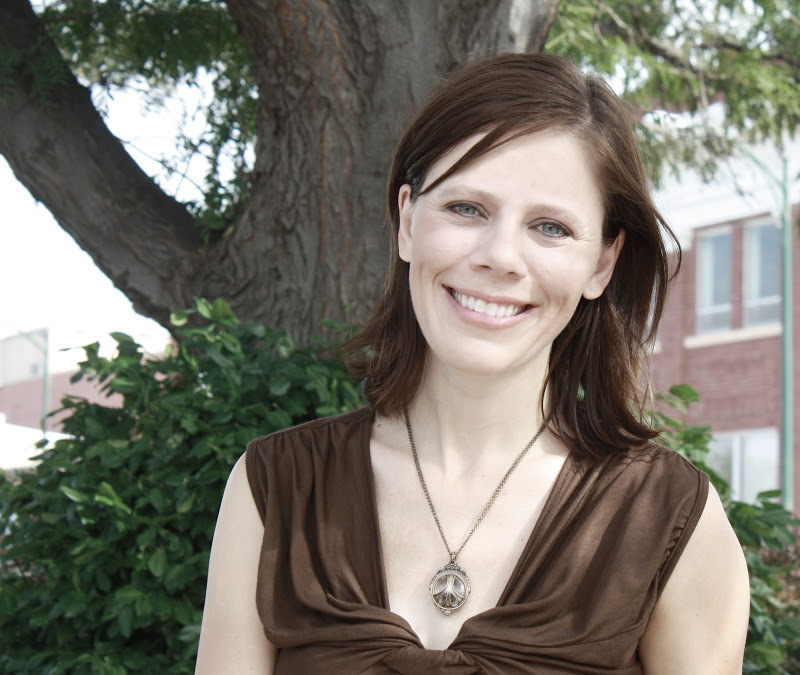 Yes, my agent is Laura Rennert at Andrea Brown Literary Agency. Can you tell us about the journey took until you reached publication? When I first decided to try to become a children’s book writer, I would write something on Monday, send it out on Tuesday, and expect multiple offers by Friday. Little by little, however, I learned more and more. I wrote. I read. I studied successful picture books. I attended conferences. I found a critique partner and a critique group. And those early stories? They were awful, but I never once thought of them as a waste of time. Those were my practice stories. It’s the same with sports or playing a musical instrument. The best way to get better at something is to practice. Are all your books published by the same publisher? I work with a variety of wonderful publishing houses—Bloomsbury, Disney-Hyperion, Houghton Mifflin Harcourt, Simon & Schuster, and Sterling. What one thing would you say to prepublished authors? Do you have any special news you’d like to share??? I am really excited about my upcoming book with Houghton Mifflin Harcourt called Nugget and Fang. This book is illustrated by the oh-so-amazing Michael Slack. It focuses on the unlikely friendship between a minnow and a shark. I am hoping Nugget and Fang make a huge splash in spring 2013. And finally the all important question: What is your favorite kind of cheese? Wow, that’s like asking me who my favorite child is. I am crazy about cheese. I should totally move to Wisconsin in my support of cheese. and Tammi is giving away two of her PRINCESS IN TRAINING buttons (so cute) on November 15th. Great interview. Loved learning about Tammi's road to publication. Tammi's book sounds great but my daughter is too old for it so let someone else win. That is so cool and good for Tammi! What a great surprise, Sharon! Thank you! Also, great interview with Tammi. She is so talented. I was naive when I started writing and thought I'll write a book, and it will be published next year. :) But yes, those practice stories are vital steps in getting published! Fantastic interview. Hooray for another cheese lover- I love those with a passion for cheese! Congrats to Tammy. My boys would not appreciate a princess read, otherwise I'd add it to their collection. And Tammi's books sounds so cute! My kids would love these. great interview! Wonderful to meet Tammi and I really love that book cover@! Sharon, YOU are royally awesome! Sounds like a fun book. Hope the dragon was a good dragon. cool interview. ilove learning stuff bout authors. i won one of miss tammis books and its sooo cute and fun. wow! nugget and fang! i love those names. for sure its gonna be another funtastical book. I love Chicken Dance! I saw a video of a school visit Tammi did a few years ago to promote the book and she had the whole class dancing with her! It was so adorable! Great interview, Sharon and Tammi! 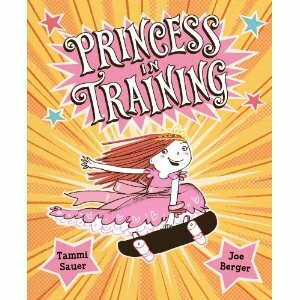 PRINCESS IN TRAINING sounds like a fun book to read. Cute cover! I enjoyed the interview. What FUN sounding books! And the illustrations are great. Nice to learn more about Tammi--hehe, on your early querying process (writing it and sending it out the next day, expecting multiple offers). Best wishes for your books, Tammi! Thank you for sharing the info. Tha badges are cute. new follower here - hi! all the best my friend.. Intresting picture. how fun -- there is something so wonderful about picture books. I adore them. hope you are well, Sharon! Frozen Milky Ways? Count me in! I love that princess on her skateboard! That cover made me feel like giggling; it was so happy. Fantastic pins! So cool. Really enjoyed the interview. I love Tammi's answer about her favorite cheese, I'm a huge cheese fan too! Love it! The illustrations are adorable! I'm a writer, SCBWI member, MO-SCBWI Critique Group Coordinator, a mother, wife, and a former elementary teacher.I have a Picture Book coming out in 2019 with Guardian Angel Publishing and a MG Novel with Black Rose Writing. I'm an alumnus of the Highlights Foundation Workshops. Share book reviews and ratings with Sharon, and even join a book club on Goodreads.